We are pleased to welcome you to our office. If you’re looking for quality care with a personal touch, we hope you’ll give us a call. We look forward to the opportunity of serving your family’s eye care needs. We are conveniently located at 2120 S. Federal Highway. We provide comfortable, affordable eyecare, all backed by over 30 years of experience and the latest in computer technology. Dr. Craig Fidler and staff are exceptional. They are all friendly and technically competent. Dr. Fidler is an excellent diagnostician and a clear, concise communicator. They took the time to help me understand what I needed to do. I highly recommend Dr. Fidler and his staff. Very clean office and prompt service. I am always seen at my appointment time and never even have to sit down upon entering. Dr. Fidler and staff are amazing. I love coming here. I have moved and still make the drive to come yearly. I had a great experience at Fidler Eye Care this morning. The doctor and staff were very welcoming and truly cared about my eyecare needs. I also got an awesome pair of brand name glasses at a great price! Highly recommended! Dr Fidler is a stand up guy. I had a big problem with the sets of glasses I ordered. He has called me personally to set things to right and I have an appointment pending with him. That’s how you do it. Dr. Fidler is exceptional and extremely knowledgeable. The staff are always smiling and willing to assist with whatever you may need. I highly recommend Fidler Eye Care! I always get wonderful, personalized and technically competent service at Fidler Eye Care. 100% recommend! Went for the first time for my power checkup as was facing trouble while working on Laptop and using cell phone. Have lazy eye problem since birth. Amazed with Dr Fidler and his team. He gave me detailed explanation and what will fix my current problem. To be honest was very satisfied on meeting him and his diagnosis. Thank you sir. People spend as much as 6 hours a day in front of a digital device whether it is a computer, tablet, smartphone or other gadgets. 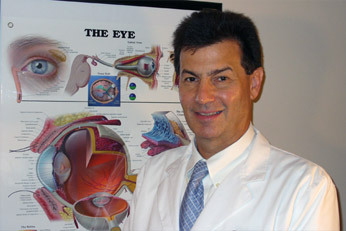 With an office in Fort Lauderdale, Fidler Eye Care serves the Broward County area – schedule an appointment today. If you have a moment, please give us your feedback about our site and your experiences with our eye care center. If you experience loss of vision, double vision, swelling, infection or any eye emergency, contact our eye doctor in Fort Lauderdale immediately for guidance. We’ll help you with the best treatment to prevent complications and promote long-lasting clear eyesight. Please call our office at: 954-960-3500 for further instructions. Use your best judgment on urgency, if you feel your need to find the nearest emergency room. Visit our emergency eyecare page for more information.